Unlike the large, hard bones many of us buy for our dogs to chew “chicken bones are very soft and often leave very sharp edges when broken,” Dr. Werber says. This is what makes them especially dangerous for dogs. 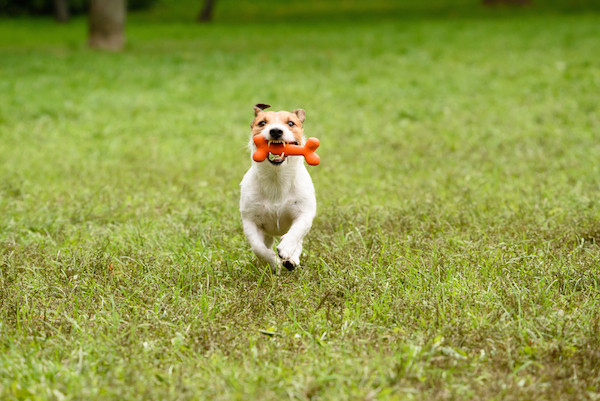 If your dog ate a chicken bone, he “run[s] the risk of tearing the esophagus or tearing somewhere along the intestinal tract, ” Dr. Werber says. This is why it’s so important to make sure dogs don’t have access to chicken bones. Let’s say your dog ate a chicken bone … and he begins to choke on it. In this situation, it could be up to you to save your dog’s life. “Choking dogs are treated very similarly to humans who are choking,” Dr. Werber says. Whether you are a pet professional or a pet parent, you can take classes in pet first aid and CPR from The Pet Health and Safety Coach Arden Moore. Sign up for classes at Pet First Aid 4 U. Or you can sign up for CPR classes at your local Red Cross. Thumbnail: Photography © undefined undefined | iStock / Getty Images Plus.